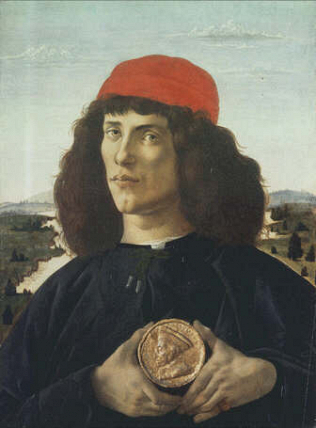 The sitter, who has been variously identified as the artist's brother or as the artist himself, holds a medal portraying Cosimo the Elder, which was coined after 1464. The portrait dates from 1474/5. At the Uffizi since 1704.